According to the statistics released by China’s National Bureau of Statistics, China’s GDP growth rate in the first half of 2018 reached 6.8%. 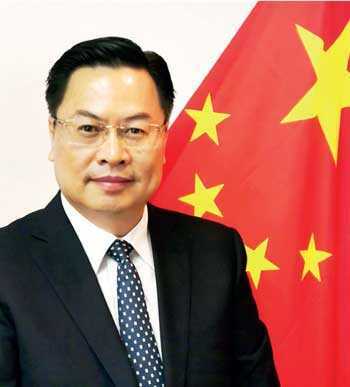 The national economy sustained the momentum of steady and sound development with its inner stability and coordination strengthened, outstanding achievements in transformation and upgrading, new growth drivers thriving and quality and performance improving steadily. This is good news for the whole world. There were a few highlights in China’s economic development. The national economy performed within an appropriate range. The growth rate of GDP was 6.8% for the first quarter and 6.7% for the second quarter, staying within the medium-high range between 6.7% and 6.9% for 12 quarters consecutively. Domestic demand was constantly increasing and has become the main driving force of economic development. In the first half of 2018, the total retail sales of consumer goods were 18 trillion yuan, increasing by 9.4% compared with last year. Among them sales online were 4.1 trillion yuan, representing a year-on-year growth of 30.1%. The volume of the express business was 17.85 billion pieces, increasing by 28.3%. New growth drivers developed rapidly. The value added of the high-tech industry, equipment manufacturing industry and emerging sectors of strategic importance increased by 11.6%, 9.2% and 8.7% respectively. A multitude of new forms of industry, models and technology was booming. We have achieved relatively full employment and around 6.13 million new urban jobs were created in the first five months. Quality and performance were constantly improving. The profits of enterprises have sustained relatively high growth, with the total profits of enterprises above the designated size reaching 2.7 trillion yuan, a year-on-year growth of 16.5%. The balance of payments has improved and trade surplus in goods in the first half of 2018 was 901.3 billion yuan. Risks in key areas were generally under control. Structural de-leveraging was advancing in order, the growth of the macro leverage ratio slowing down and leverage ratio of enterprises continuing to decline. The financial and fiscal sectors were operating soundly on the whole. In the first half of 2018, the general public budget income exceeded 10 trillion yuan, increasing by 10.6% compared with last year. 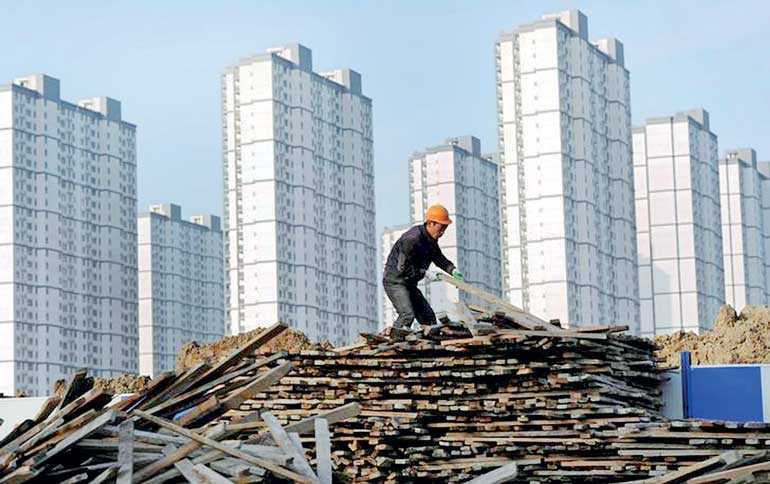 China’s economy demonstrates great potential, strong resilience and much leeway. China has a vast territory, a large population and a huge market. It is hard to imagine the broad prospect of the Chinese market if one has not experienced the dynamism and potential of the Chinese economy personally. The 40 years of reform and opening-up have especially cultivated the largest middle-class group in the world. They have strong consumption ability and purchasing power, and a round of extensive and profound “consumption upgrading” is in progress. With a vast national market and the tendency of consumption upgrading, both the potential and leeway of China’s domestic market are huge. Meanwhile, China has accumulated abundant means and resources in its macro-regulation and is therefore capable and confident enough in leading its economy to develop steadily in the medium and long term. This year marks the 40th anniversary of China’s reform and opening-up and China’s achievements in the past 40 years originate from reform and opening-up. In the new era, we will stay committed to advancing reform in all respects, stick to the problem-oriented principle and focus on solving systematic and institutional problems obstructing economic development. We will unswervingly open wider to the outside world and constantly add new impetus to China’s economic and social development through reform and opening-up in the new era. It is good news for the whole world that China’s economy registered a stable performance with good momentum. Contributing around 30% of global growth on average since 2002, China has become a key engine for world economic recovery and growth. China’s modernisation process has advanced rapidly, which brings about huge space for consumption and investment and creates more employment opportunities for the world. Over the past four decades more than 700 million Chinese people have been lifted out of poverty according to current UN standards, accounting for more than 70% of the global total over the same period and offering the highest contribution rate of poverty reduction to the world. China has become the world’s second largest importer and largest source of outbound visits. China ranks No. 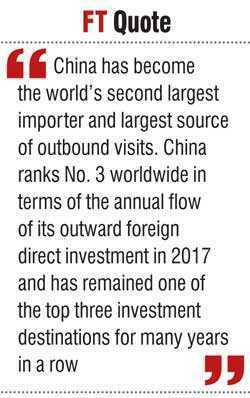 3 worldwide in terms of the annual flow of its outward foreign direct investment in 2017 and has remained one of the top three investment destinations for many years in a row. The world economy has already become a closely related and highly integrated global economic network. No single country can immunise itself from adverse developments, casting aside the global economic system. Everyone will benefit from a well-established and robust global economic system. Since China is the second largest economy in the world, the sound development of its economy can not only boost confidence in global economic development but also provide real opportunities and support for other economies, especially those of developing countries. In the coming 15 years China is expected to import $ 24 trillion worth of goods. CIIE will provide new opportunities for export, build new platforms for countries to share dividends of China’s development and inject new vitality into world economic growth. Sri Lanka attaches great importance to this event and will send a high-level delegation to China. Sri Lanka’s black tea, rubber, gems, textiles and other featured products will come to Shanghai, exhibiting the charm of Sri Lanka to the huge Chinese market. We believe that the China-Sri Lanka traditional friendship will continue to deepen through this new platform. “Though the world is complex and changing drastically, we should always stay focused and confident to accomplish great deeds.” The Belt and Road Initiative is a major initiative proposed by the Chinese government. It aims at upholding the global free trade system and an open world economy, promoting the coordination of economic policies for participating countries and carrying out regional cooperation to create an open, inclusive and balanced regional economic cooperation framework which is beneficial to all. Its major goals include policy coordination, facilities connectivity, unimpeded trade, financial integration and people-to-people bonds. These five aspects form an organic whole which is the new public product offered by China to the world in the new situation. Sri Lanka is a key component of the ‘21st Century Maritime Silk Road’, with the Hambantota Port and Colombo Port City as the two flagship projects of the pragmatic cooperation between China and Sri Lanka under the Belt and Road Initiative. We believe that under the guidance of the important consensuses reached by leaders from our two countries, China-Sri Lanka economic and trade cooperation will inject new vigour into Sri Lanka’s economic and social development, enable development achievements to better benefit our two peoples and let ordinary people get a greater sense of gain.